Free Friday Wine Tasting 9-28-18! 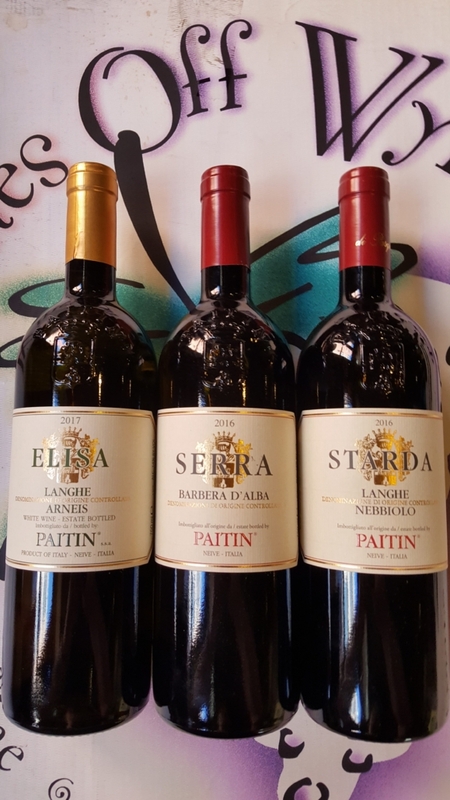 On Friday, 9-28-18, please join us as Nico from Empire Distributing will be here pouring and discussing three wines from the Paitin Estate in Piedmont, Italy. He will feature the Elisa Arneis 2017, from Langhe, the Serra Barbera d’Alba 2016, from Alba. and the Starda Nebbiolo 2016, from Langhe. We will have these open for tasting and discounted from 1pm-6pm! We look forward to seeing you at the tasting! http://winedenver.net/wp-content/uploads/2018/09/20180921_095652-e1537555462555.jpg 889 500 admin https://winedenver.net/wp-content/uploads/2017/04/Background-300x300.png admin2018-09-27 14:00:462018-09-21 12:47:12Free Friday Wine Tasting 9-28-18! When You Buy 2-Wednesdays 9-26-18! On Wednesday, 9-26-18, all Domestic White Wine is 15%-Off when you buy any 2+ bottles of Domestic White Wine in the store! https://winedenver.net/wp-content/uploads/2017/04/Background-300x300.png 0 0 admin https://winedenver.net/wp-content/uploads/2017/04/Background-300x300.png admin2018-09-25 14:00:452018-09-20 09:38:36When You Buy 2-Wednesdays 9-26-18! 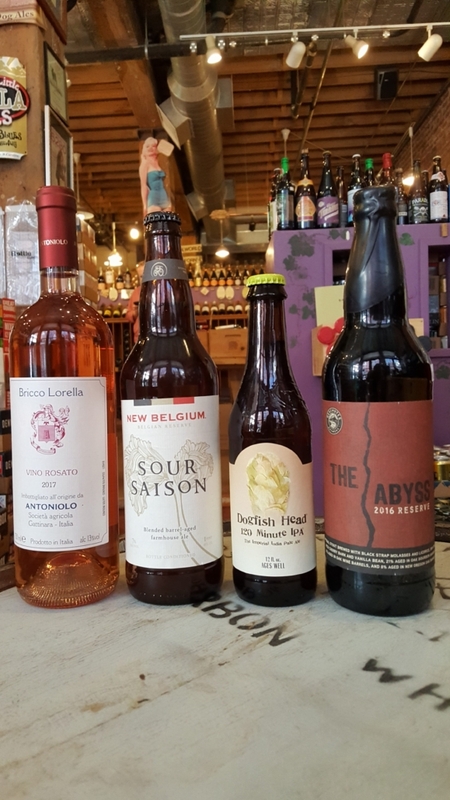 Free Friday Wine And Beer Tasting 9-21-18! On Friday, 9-21-18 we will be pouring the Antoniolo “Bricco Lorella” Nebbiolo Rosato 2017, from the Gattinara region of Piedmont, Italy. We will also be pouring 3-beers in celebration of the Great American Beer Festival in Denver this week. We will sample the New Belgium Sour Saison, the Dogfish Head 120 Minute IPA, and Deschutes Brewery The Abyss Reserve 2016 Barrel-Aged Imperial Stout. We will have these open for tasting and discounted from 1pm-6pm! We look forward to seeing you at the tasting! http://winedenver.net/wp-content/uploads/2018/09/20180920_151341-e1537479491549.jpg 889 500 admin https://winedenver.net/wp-content/uploads/2017/04/Background-300x300.png admin2018-09-20 15:39:002018-09-20 15:39:00Free Friday Wine And Beer Tasting 9-21-18! When You Buy 2-Wednesdays 9-19-18! On Wednesday, 9-19-18, all Imported Red Wine is 15%-Off when you buy any 2+ bottles of Imported Red Wine in the store! https://winedenver.net/wp-content/uploads/2017/04/Background-300x300.png 0 0 admin https://winedenver.net/wp-content/uploads/2017/04/Background-300x300.png admin2018-09-18 14:25:582018-09-18 14:25:58When You Buy 2-Wednesdays 9-19-18! Free Friday Wine Tasting 9-14-18! 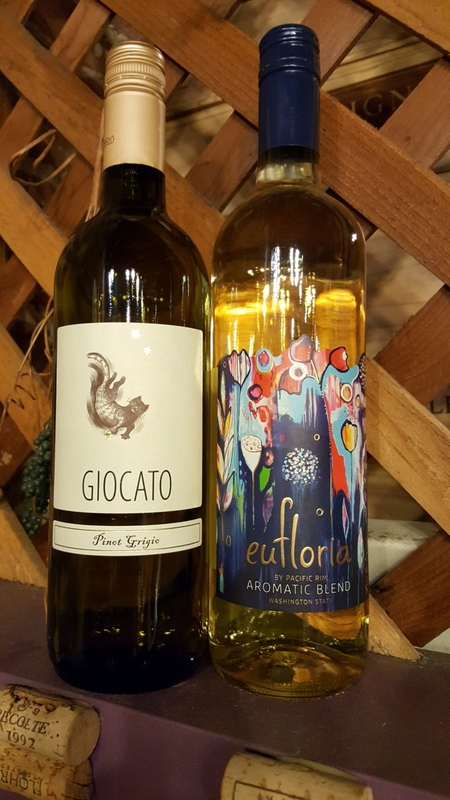 On Friday, 9-14-18 we will be pouring the Giocato Pinot Grigio 2016, from the Primorska region of Slovenia, as well as the Pacific Rim Eufloria White Blend NV, from Washington State. We will have these open for tasting and discounted from 1pm-6pm! We look forward to seeing you at the tasting! http://winedenver.net/wp-content/uploads/2018/09/20180913_133026-e1536868093763.jpg 889 500 admin https://winedenver.net/wp-content/uploads/2017/04/Background-300x300.png admin2018-09-13 13:49:292018-09-13 13:49:29Free Friday Wine Tasting 9-14-18! When You Buy 2-Wednesdays 9-12-18! On Wednesday, 9-12-18, all Imported White Wine is 15%-Off when you buy any 2+ bottles of Imported White Wine in the store! https://winedenver.net/wp-content/uploads/2017/04/Background-300x300.png 0 0 admin https://winedenver.net/wp-content/uploads/2017/04/Background-300x300.png admin2018-09-11 12:51:372018-09-11 12:51:37When You Buy 2-Wednesdays 9-12-18! 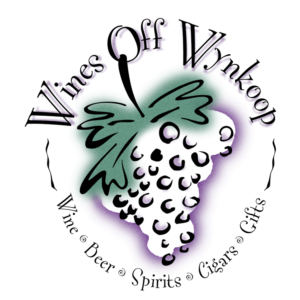 Free Friday Wine Tasting 9-7-18! 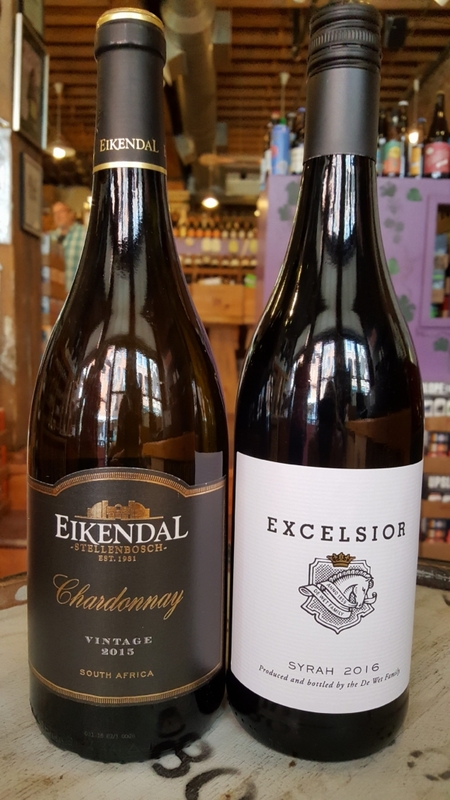 On Friday, 9-7-18 we will be pouring the Eikendal Chardonnay 2015, from Stellenbosch, South Africa, as well as the Excelsior Syrah 2016, from Robertson, South Africa. We will have these open for tasting and discounted from 1pm-6pm! We look forward to seeing you at the tasting! http://winedenver.net/wp-content/uploads/2018/09/20180906_133941-e1536263880780.jpg 889 500 admin https://winedenver.net/wp-content/uploads/2017/04/Background-300x300.png admin2018-09-06 14:01:312018-09-06 14:01:31Free Friday Wine Tasting 9-7-18! When You Buy 2-Wednesdays 9-5-18! On Wednesday, 9-5-18, all Domestic Red Wine is 15%-Off when you buy any 2+ bottles of Domestic Red Wine in the store! https://winedenver.net/wp-content/uploads/2017/04/Background-300x300.png 0 0 admin https://winedenver.net/wp-content/uploads/2017/04/Background-300x300.png admin2018-09-04 16:41:152018-09-04 16:41:15When You Buy 2-Wednesdays 9-5-18!